Each year the Middleton team nominate a charity to make a Christmas donation instead of sending cards. 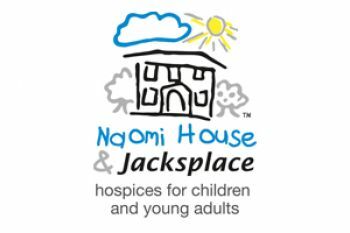 This year we're incredibly proud to be supporting the Big Gift Shake Up at Naomi House & Jacksplace. The hospices provide expert hospice care to more than 525 life limited and life threatened children, young adults and their extended families from Hampshire, Wiltshire, Dorset, Berkshire, West Sussex, Surrey and the Isle of Wight. The Big Gift Shake Up offers the opportunity to donate money towards experiences including time in the sensory room, hydroptherapy pool and day trips out with family.